In the Hinduism, each day has timings which are favourable and auspicious to ill and bad luck. These are call Choghadiya. There are seven types of Choghadiyas. Each day is divided into two time periods: daytime - the period from sunrise to sunset - and night-time - the period from sunset to sunrise. 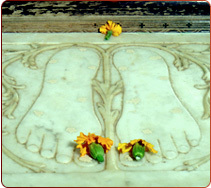 Each period contains eight Chaughadiyas. To calculate the duration of each Chaughadiyas, divide the respective time periods by eight. 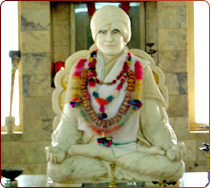 Thus, in each period any one of the seven different types of Chaughadiyas will occur twice. The sequence of daytime and night-time Chaughadiyas varies for each day. However, for each day, the sequence is the same. That is, the sequence for Monday is different to that for Tuesday, which in turn is different to that for Wednesday, etc. But, the sequence for each Monday is the same, as it is for each Tuesday, etc. Amrut, Shubh and Labh are favorable Choghadiyas. Chal is an intermediate Choghadyu. Udveg, Rog and Kal are unfavorable Choghadiyas.